Perfect tool for use during research! Designing educational experiences that focus on collaboration, communication, critical thinking, and creativity is easier to understand than following SAMR, substitution, augmentation, modification, and redefinition. (Discussed in L N' L on 11-5-13) SAMR focuses solely on technology tools, while the four c's focus on instructional design of a lesson with technology seamlessly integrated. The keynote, Mark Garrison, also completed a great session on Google Apps 45. An incredible set up communities for professional development. We'll search for communities that you might be interested. Same content, same co-curricular activity, same interests! 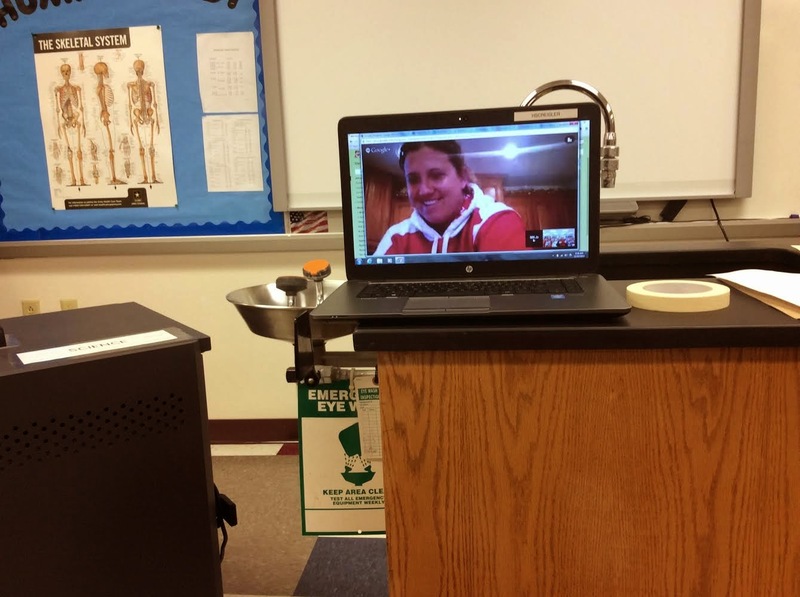 Jen Zurawski, West DePere, presented many great features/uses/tools from Google. Instead of filming a video for the promotion of forensics, I suggested PowToon. I created a promotional video for our bi-weekly professional development at the high school and middle school. Her creation rocks, was created in a few short hours, and will be shown today and tomorrow in homerooms! A little over one week ago, I coached our Biology teachers on the power of the Explain Everything App. Today, was our large group instructional time. As students entered the room, I had OK Go's Here It Goes Again video playing. As students were settling down in their seats, I turned down the volume, but left the video playing. I emphasized with students the background of the group and their creative videos. So much collaboration, critical thinking and creativity is present in the video. It was a perfect example for this project. I liked this idea of music videos so much, I started a YouTube Playlist for videos that are filled with creativity, critical thinking, collaboration, and communication. There are not too many videos in this list as of yet! More to join the list in the future! You can see how students experienced this as they entered the room. On Monday and Tuesday, students will be creating! I truly believe this was an awesome experience for our classroom teachers who were able learn the details about the app an additional time. Students also were able to get a field trip to our Large Group Instruction Area. I was able to teach students which was the first reason I became a teacher. The second day of my Midwest Google Summit has a variety of speakers and content that allowed for me to learn about a number of great topics. All of MY SKETCH NOTES can be found on Pinterest. 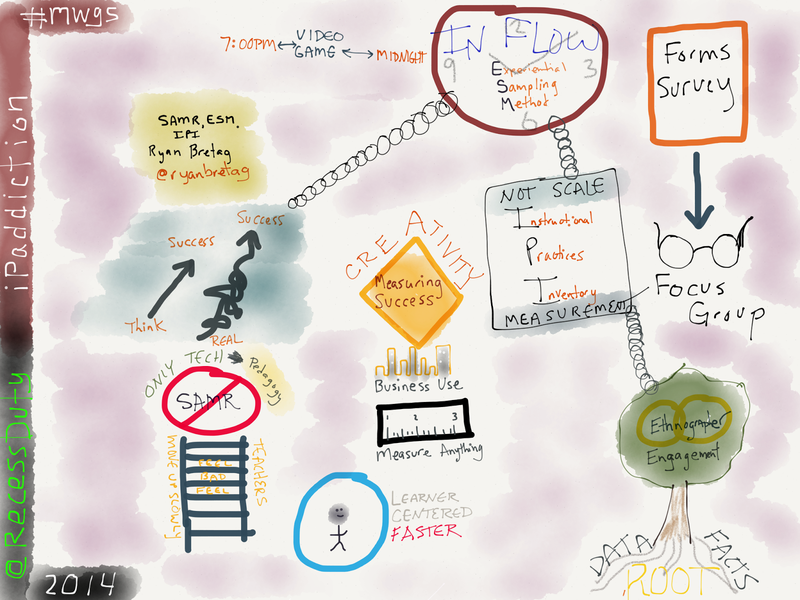 I truly enjoyed creating Sketch Notes during the conference. Sketch Notes allow for total focus on visualizing the concepts that the speaker is presenting. I will continue to learn and enhance my Sketch Notes. 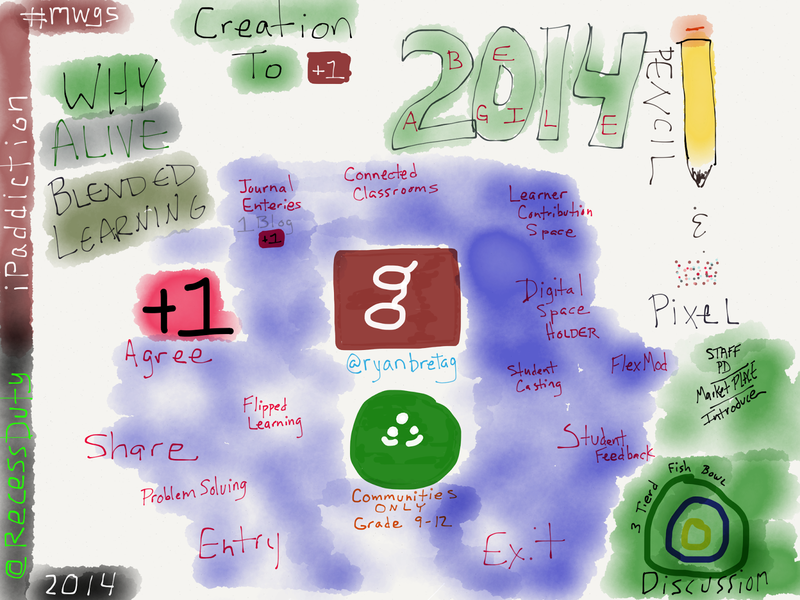 The 2014 Midwest Google Summit began today as a two day learning opportunity for educators. Teachers were focused on integrating Google Apps for Education by certified Google Teachers. 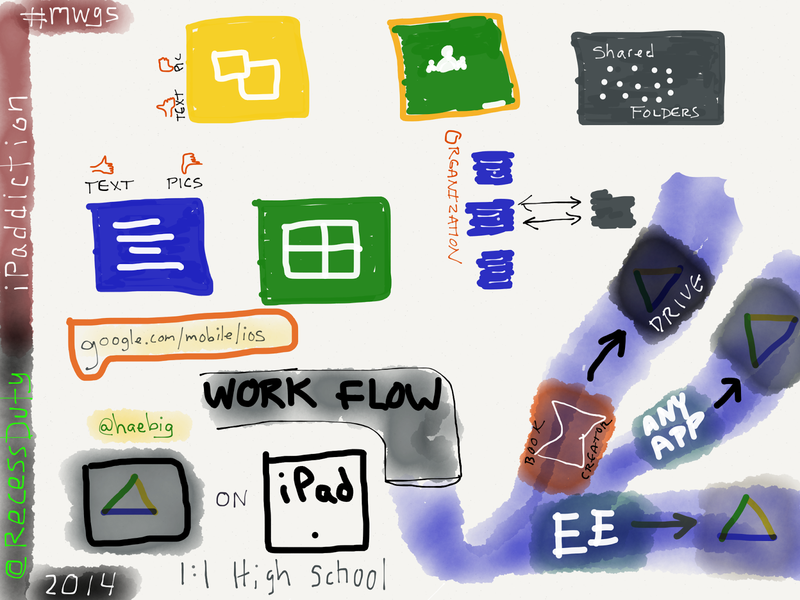 My notes were taken with the Paper 53 app which allows for tremendous creation opportunities. 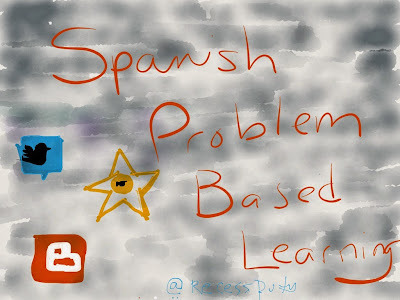 I used the #Sketchnote option to produce ideas. I chose this method because all of the resources that presenters create are online. I wanted to create the notes so that they make sense in a visual way. 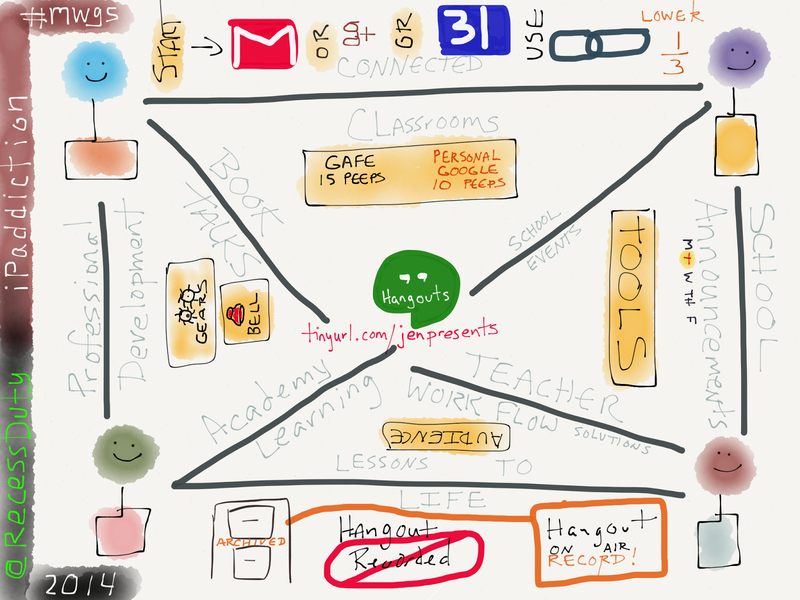 Below are the highlights of my learning day complete with visual Sketchnotes and written information. Our sixth grade teacher, Mr. Pratt, a model classroom teacher in our district will be utilizing the Book Creator app for an upcoming creative learning opportunity for his students. As always, it is important to develop/create/understand the work flow of completed project to a sharable format. To understand the workflow I created a Stick Around App book using the Book Creator app. On Monday, November 25, 2013, I blogged about illustrating a Book On an iPad or Online and the Book Creator App for the iPad was a choice. Since then, I haven't revisited the app. Today, I created a book about the Stick Around App in high school Anatomy and pushed the three different types of final products to Google Drive. These final products are placed in a shared folder. Students and teachers can "open in" the file from Google Drive to iBooks or any other application. Of course, this is an app smash. This tremendous App Smashing presentation from Miami Vice helped in the process. Ms. Slusarek and Mr. Vanseth created an amazing app smash with the PicCollage app and the PicPlayPost app. 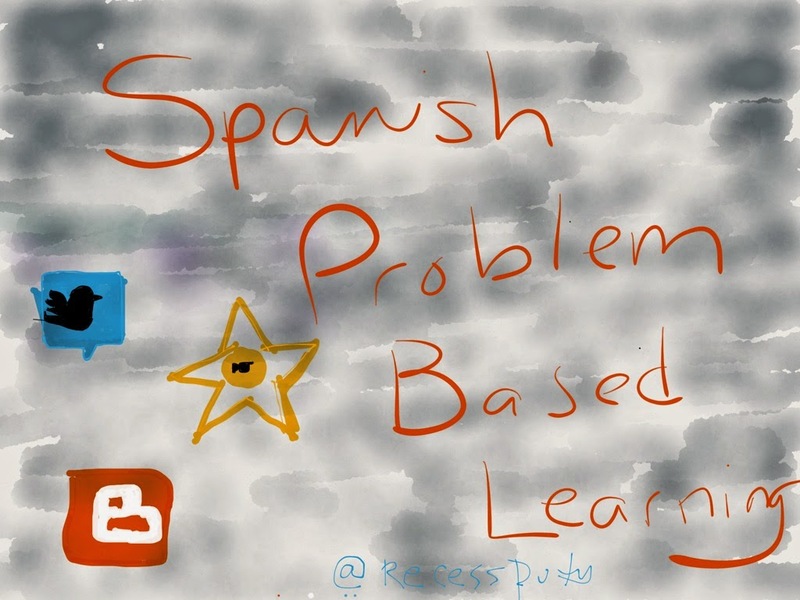 These teachers are doing some amazing things with iPad apps and thinking outside the traditional educational box. Students are empowering their creative minds with the integration of a technology tool! "Our learning objective is for the students to distinguish between the regular present tense and the present progressive verb tense. To do this we are "app smashing" PicPlayPost and Pic Collage! We wanted to add text to our picture and video, but PPP doesn't include this feature. So we are using Pic Collage to add text to a picture and then combining the pic with text to the video and framing at PPP offers!" Today, Mrs. Gerth and Mrs. Wagner, school counselors contacted me about a way to have all the web resources (six) available with one click while conducting eighth grade planning conferences. We initially tried "pinning" tabs in Chrome, but was unsuccessful in keeping them pinned after logging off/logging on. Not sure why, but it could be that we were on a virtual machine. Because of that failure, I remembered creating multi urls a year or two ago and decided SQWORL would be the best. SQWORL touts itself as "Simple Visual Bookmarking for Educators". One of our counselors created an account. It took about 15 minutes to create the link. The LINK works perfectly and is now able to be shared with other counselors. As we progress to the flexible schedule for our high school in 2015-2016, our communication intensifies. To do this, our art teacher, Mr. Sperduto created a tremendous infographic that will be displayed throughout our building, given to students, and distributed throughout our community. In addition, I created a video with raw video footage provided by Mr. Manning and Mr. Mentink. The video was created with Final Cut Pro X, which is a Mac program I learned about at the Apple Distinguished Educator Institute in Austin in 2013. Our principal, Mr. Matczak, completed a voice over of a Google presentation that Mrs. Mathys and Ms. Koch created. The voice over was completed in Camtasia because the Google presentation was able to be screencasted. Also, the editing features were perfect for cleaning up the voice over. The Final Cut Pro X and voice over were combined using the Camtasia Program. Worked perfectly. Mrs. Titler and Ms. Slusarek, Spanish teachers at Pulaski High School provided a Problem Based Learning opportunity with their Spanish students. Students used different mediums to create their product that helps to create awareness for their cause. Below are some of those options (some links may only work if you have the correct rights. As Ms. Slusarek stated, "There are some grammar mistakes, but I think this group captured the effective use of technology and how to motivate people to join a cause!" Demonstrated the tools on Monday with the expectations that they would create a storyboard for their personal creation during the day on Monday. Note: one of our teachers's children became ill and she was unable to be at school on Monday. 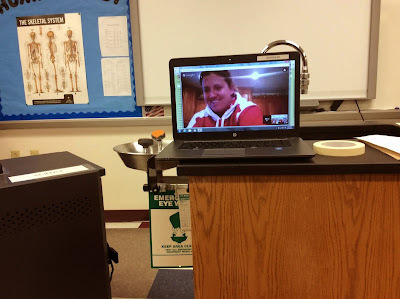 No problem, she used her personal iPad and another device to join in the learning through a Google Hangout! coached them through their creation on Tuesday while using the Explain Everything App. Next Friday, I will be utilizing our school's Large Group Instruction area to demonstrate features of Explain Everything to all of the biology students . This should take about 15 minutes or less. Students will then formulate their storyboard in their classrooms so that during the next class period, they will start creating using the Explain Everything app. Below is the Protein product that one of our biology teachers, Ms. Thut, created. This was the first time that the entire process of coaching teachers using a technology tool occurred in this sequence. Teacher's time is very precious and not taking an entire prep period to discuss technology integration was a benefit. Extending the learning for teachers over the course of two days was also a benefit. I'm looking forward to teaching the tools of the Explain Everything app to the students knowing the teachers know the tech tool because of a personal learning experience. Some might say that we use the Explain Everything app too much. 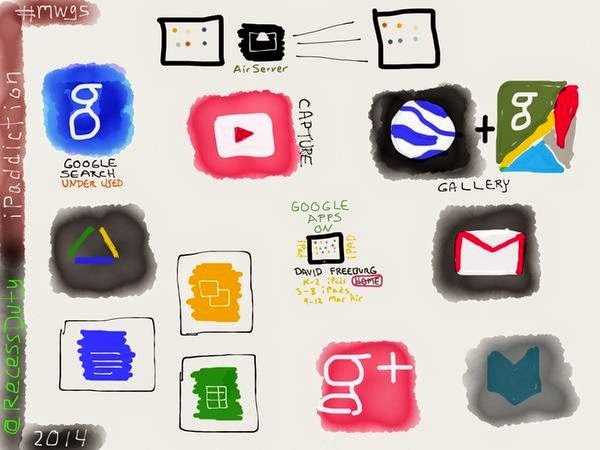 We do use it numerous times, but as students become MORE familiar with the app, the technology tool becomes invisible. Students and teachers don't think twice about using a writing utensil because it is essentially invisible. The thoughts, ideas, and solutions that come from the writing utensil are what matters! So it hopefully will be with technology tools! Students creating content on the iPad and or using a Chrome browser is all about what students know or can formulate. It is truly one of the best assessment and or creation methods that can be integrated into the educational setting. Two applications that have gained my attention over the last week are below. One is for the iPad and one is for the Chromebook/laptop. Storytelling can take two forms. One can be of pictures that the student takes and develops written/auditory words that explain the pictures. Another form can be writing that revolves around pictures that others create. I also recently decided to purchase the Paper 53 complete set of tools in the app (I have had the free version on my iPad for more than a year). I really like the way Paper 53 makes a person with zero artistic talent have some semblance of artist capability. 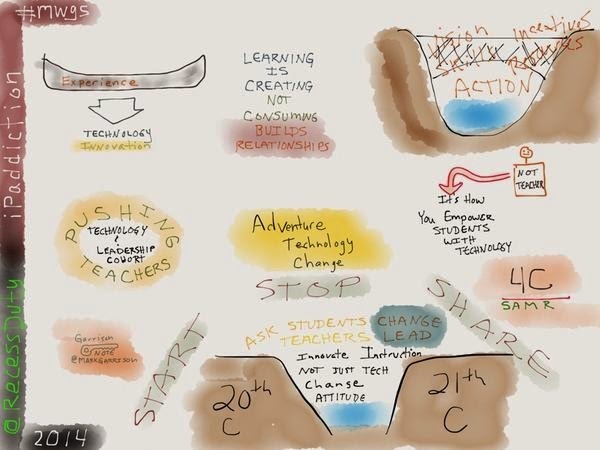 I have also been intrigued by the Sketch Notes that many of my PLN are utilizing. Brad ADE Class of 2010 is the first person I saw Sketch Noting at the ADE Institute in Austin. The Shadow Puppet app is a free app that allows for no nonsense, easy creation of ideas, thoughts, and productivity. I like how the final video creation can be sent to the camera roll which lends itself to easy uploading to Google Drive. My Creation - Took less than 15 minutes to make. Took screen shots from the iPad, and started the creation. 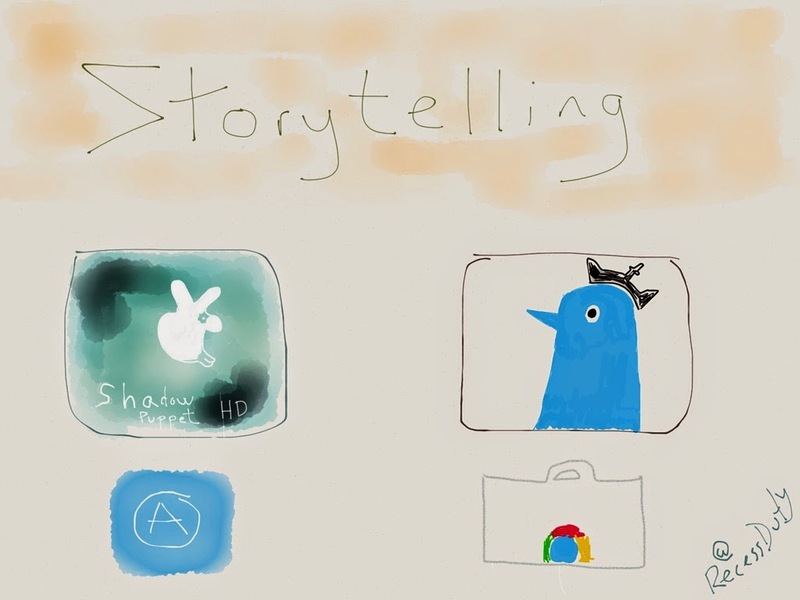 The Storybird Chrome Store App is a free app and service that allows for the creation of short stories. 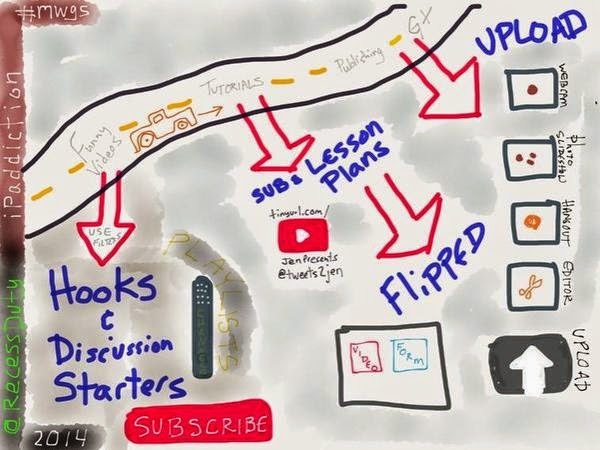 A great set of video tutorials have been created if you would like to set up a classroom of students. This would be great for management of the creations. If you don't want to create a class, have students sign up as students and create individual accounts. I have found a very detailed tutorial by another tech coach, Megan Ryder, that outlines everything. She really does a great job. One of her tutorials is below. As always, I am willing to help a teacher learn, understand, and co-teach these tools in the classroom if they meet learning objectives that need to be mastered. Students used Explain Everything to show what they knew to the instructor. The question posed to them was "Is Emerson's philosophy about individualism a real possibility for society? Why or Why Not? 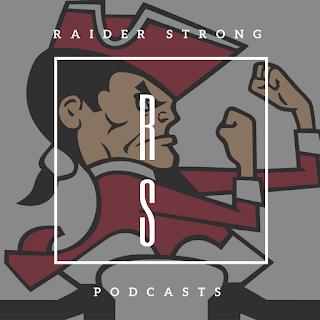 Ms. Rheingans stated, "As I was listening to these, I was so amazed at how well I was able to see how much they actually understood from reading." In my opinion, having students "show what they know" provides some truthful insight as to whether they understand and can communicate their understanding. A traditional multiple choice test may not provide this type of insight. Of course, there is a time and place for every type of assessment. This appeared to be the right time and place for students using Explain Everything. Yesterday, in Mr. Pratt's class, I noticed that he had a number of Belkin Headphone Hubs. Students use these to listen collaboratively to videos in which they are learning a specific concept or idea. This girl gave an insight into how easy it was to use the iPads for learning. *I apologize for the sound, there was slightly too much background conversation. Our middle school students in AgriScience class are creating portfolios. We are going to use Google Turn In Folders as the repository for the artifacts. In 2012, Chad Kafka made an excellent video. Some of the terms have changed (collections to folders) but this is a great tutorial. I used Camtasia Studio to record, add highlights, and to edit audio. If the video above won't play, you may have YouTube's Safety Mode enabled. View how you can disable that feature.